Make this gorgeous bag in just one weekend! 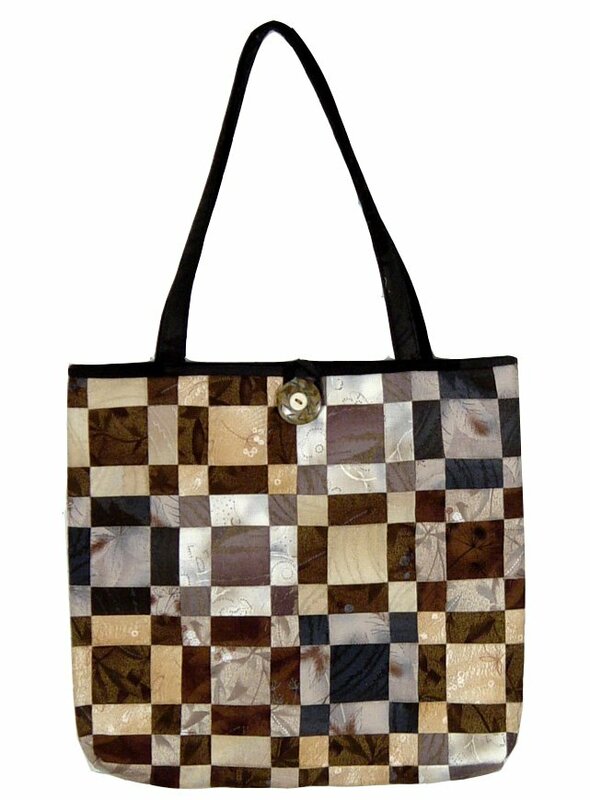 This Yankee Pride original pattern uses a simple pattern (the Uneven 9-Patch) and lovely fabrics (Japanese taupes) to make quite the sophisticated bag. Kit includes instructions, fabric, interfacing, fusible fleece, and a button so you can complete the entire project! Bag finishes at 16" long, x 13" high, x 3" high.